Interest rates have a strong influence on house prices, principally because changes in the interest rate affect the cost of mortgage payments. 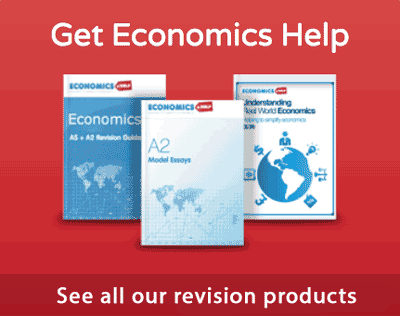 How do interest rates affect house prices? If interest rates rise it will have a significant effect on increasing the cost of mortgages. Higher mortgage payments will deter prospective home-buyers – it becomes relatively cheaper to rent. Also, the high cost of mortgage payments may also force some existing home-buyers to sell. This increase in sellers and decline in buyers will cause house prices to fall. 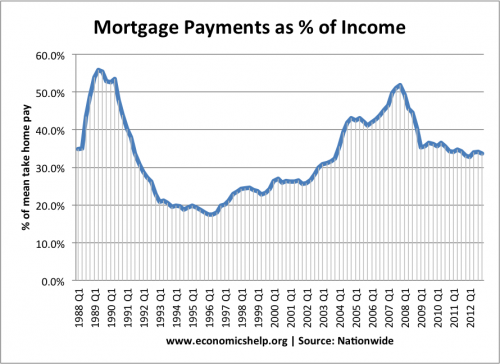 When interest rates were increased 1988-92, mortgage interest payment rose rapidly. 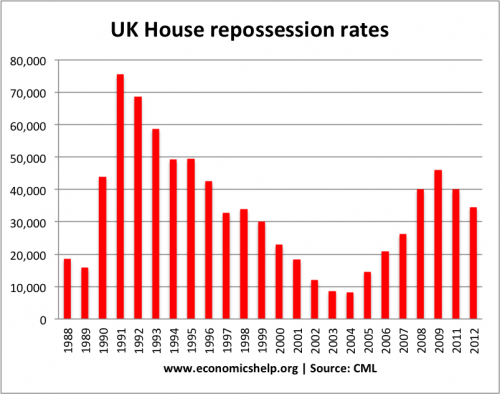 The rise in mortgage payments and rise in home repossessions of 1991/92 led to a rapid fall in house prices. 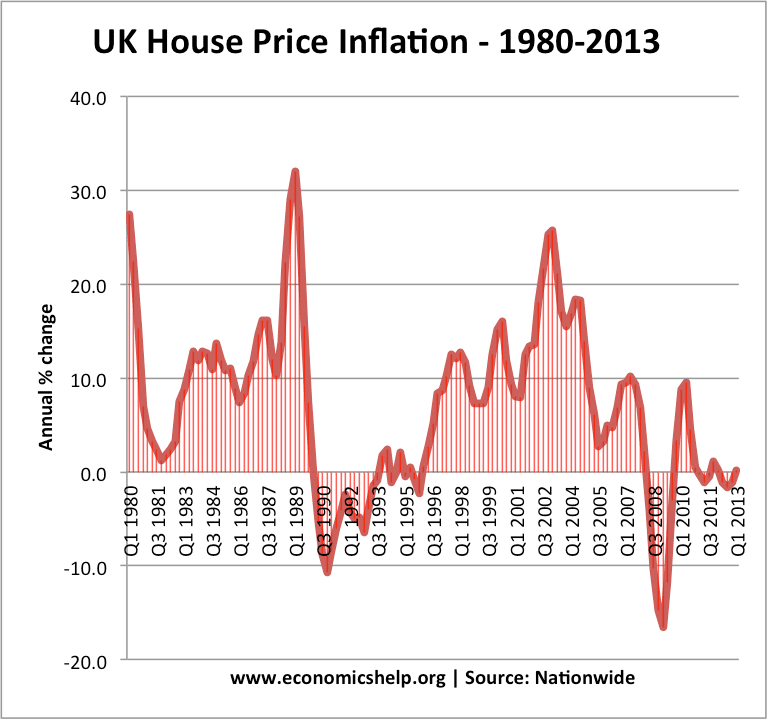 High interest rates caused house price fall in 1990. 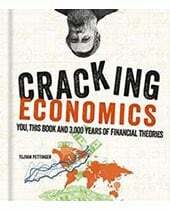 However, the fall in 2008/09 – was not due to interest rates, but due to global credit crunch and recession. It is important to bear in mind that interest rates are not the only factor affecting house prices. 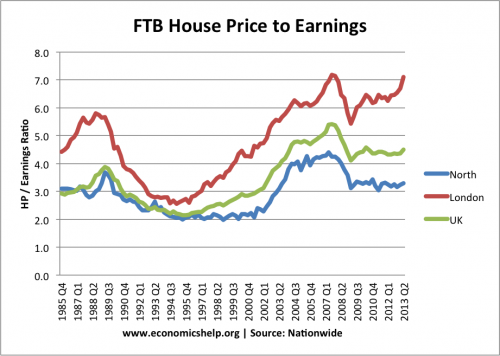 It is possible for interest rates to increase, but house prices to continue to rise. 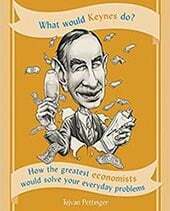 For example, if confidence is high and we experience a period of rising incomes then people may continue to buy, despite the rise in interest rates. The supply of housing is also very important. A big factor in the current rise of UK house prices is due to the shortage of supply, which is pushing house prices higher. Fixed rate mortgages. Around 50% of homeowners are on fixed-rate mortgages, therefore, they will not notice the effects of higher interest rate payments until they remortgage in 2 or 5 years time. There is often a time-lag between higher interest rates and the effect on house prices. In the current economic climate, we could expect higher interest rates to have a significant effect on reducing house price growth. Given low real income growth in the past few years, a rise in rates (from current low levels) would have a big effect on household disposable income. The UK is likely to be sensitive to any change in interest rates. Currently, in the UK interest rates are very low. 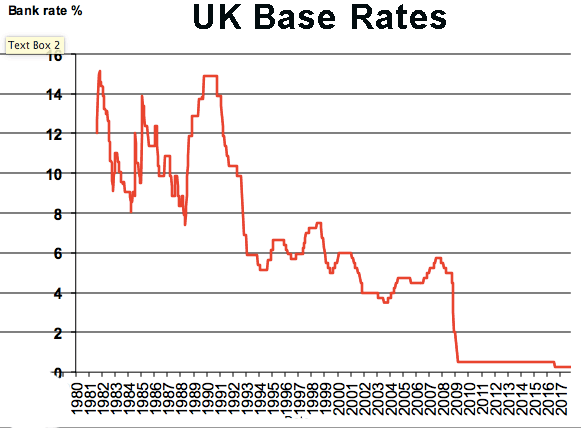 Base rates, set by the Bank of England, are currently 0.5%. This has reduced the cost of mortgage payments, making buying a house relatively attractive. It means that despite the rise in house prices, mortgage payments are not too expensive. With interest rates so low, it makes sense to try and buy. This increase in demand for housing is one significant factor in pushing up prices. Make many areas unaffordable for young people causing shortages of skilled labour. Increased wealth inequality between homeowners and renters. An unsustainable boom in house prices could lead to an eventual fall in prices, with corresponding bank losses and a negative wealth effect. 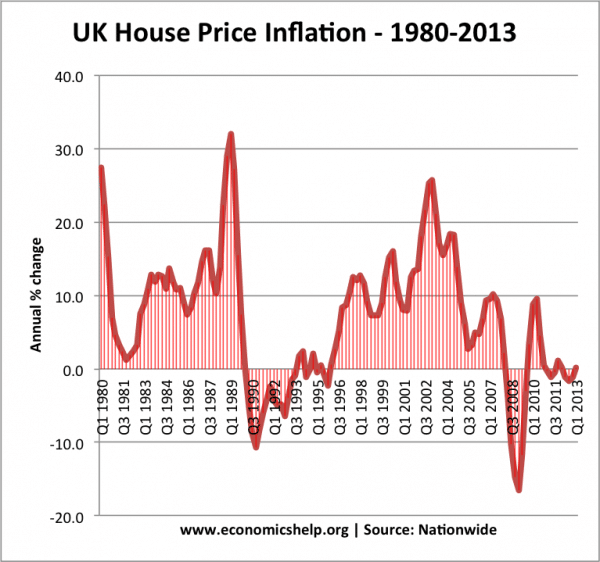 House price growth puts the Bank of England in a difficult position. 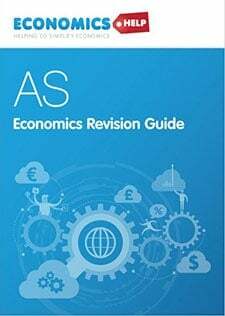 The primary objective of the Bank of England monetary policy is low inflation and ensuring adequate economic growth. Currently, CPI inflation is below target, unemployment is high and the economic recovery fragile. Given this situation, the Bank may be expecting to keep interest rates low until the recovery is stronger. 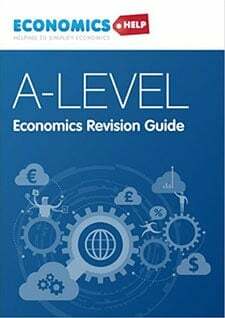 The danger is that if the Bank of England uses monetary policy to control house prices it could stifle the economic recovery and cause low growth. The chancellor has stated that the Bank of England should control house prices through using interest rates. (Osborne puts responsibility on Bank of England) But, arguably it is a mistake to rely on monetary policy to control house prices. Revaluating the governments right to buy scheme – which has helped people get mortgages. Tax on second homes to discourage speculation. Regulation/tax on foreigners who purchase housing in the UK. Government returning to a policy of building council homes. This entry was posted in housing and tagged house prices. Bookmark the permalink. If your annual income is £20,000 the bank is willing to lend £60,000 for your mortgage if 3 times income multiple.